Bon Voyage- Week One of the Tour! The Tater Team with Frank Muir and Anna Silver. Week one of the Big Idaho Potato Tour was a grand success! It began early Monday morning on March 20th in the parking lot of Foerstel Design. 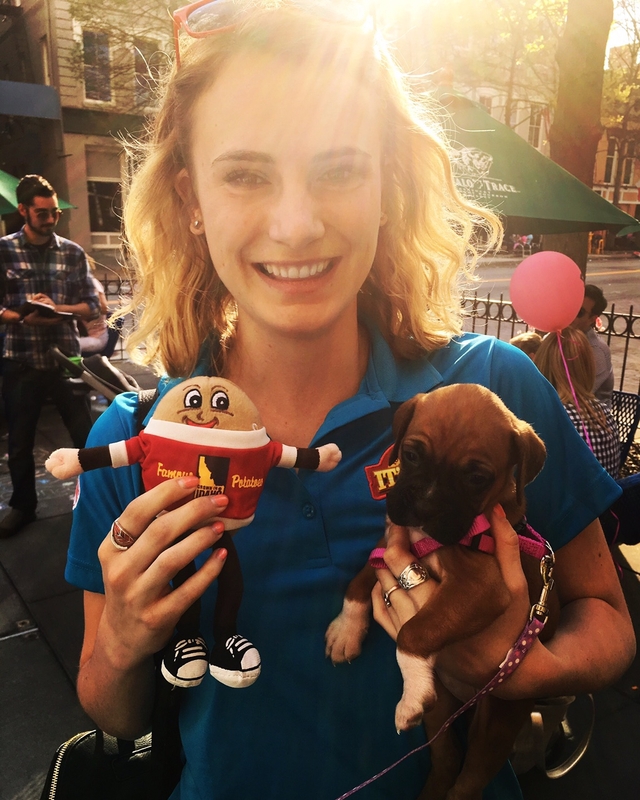 Reporter Anna Silver from KIVI 6 On Your Side came to interview the #tatertwins #andLarry to get the insider scoop and tour the truck cab. Frank Muir, the President & CEO of the Idaho Potato Commission, was also there to send the team off and give the Tater Twins advice for their first tour. After the interviews, the team loaded their luggage into the truck and made sure to bring the necessities for the potato (pounds of butter, tubs of sour cream, and bags of bacon bits). 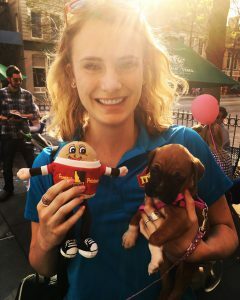 After saying goodbyes to their families, Laura Martin (tour coordinator/ superwoman/mama bear), and the rest of the Foerstel team, they eagerly set off for the six-month adventure! 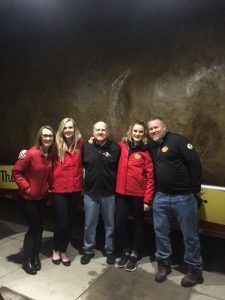 They stopped in Rock Springs, WY, North Platte, NE, Columbia, MO, Nashville, TN and ended in Macon, GA. Every stop turned into an event and people flocked to the six- ton potato! The Tater Team with super fan, Teddy Greene. 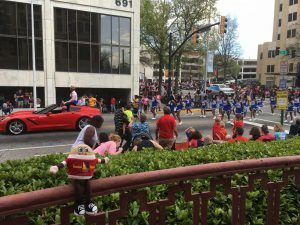 The team enjoyed greeting excited fans in every city and had the pleasure to meet up with a very special fan in Macon, Georgia at the International Cherry Blossom Parade. 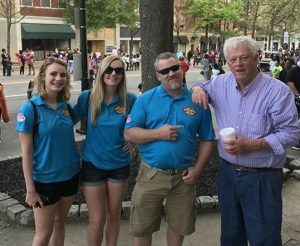 Super tater fan and longtime friend, Teddy Greene, from Bryson City, North Carolina saw that the truck was in Macon and drove down to see the team! The team and Teddy explored the town and shared dinner at a local burger joint. It was a great way to end the first week of the tour! 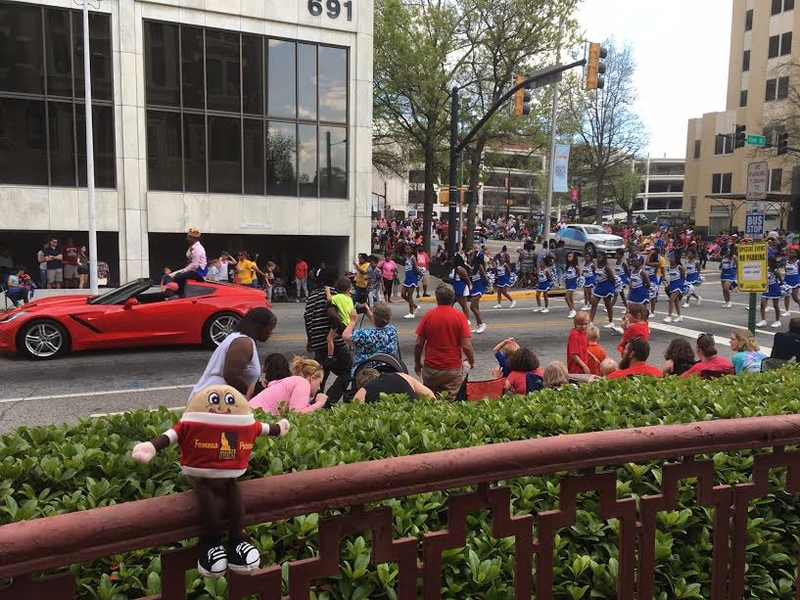 Spuddy Buddy found a friend his size at the Cherry Blossom Festival! The team is now heading off to Houston, TX for the McDonald’s Children’s Festival and can’t wait to see the kids’ reactions to the 6-ton spectacle! Thanks for reading and check back next Monday for all the tour updates! PrevPreviousThe Tater Twins #andLarry are ready to go!